With the growing popularity of smoothies, blenders are in again, especially with the advent of personal blenders like the Nutri Bullet and similar single-use blenders the other manufacturers are coming up with. Check the lastest standard and personal blender models as of March 2019 and through the eyes of AlphaChooser's team of product profilers. According to our multi-review-based ranking system, the best blender 2019 should be the Vitamix A2500, and the second best blender 2019 is the Epica TRTAZ11A. Here is the full top 10 list, then sub-categories and a complete list of blender brands and models. Considering this blender's aggregate rank of 93%, we are confident that the Vitamix A2500 is currently Alphachooser's best blender 2019. Furthermore, we think that our 237 reviews sampled from our sources give us a high confidence level (more on confidence levels) that justifies making it a "no-brainer best choice." 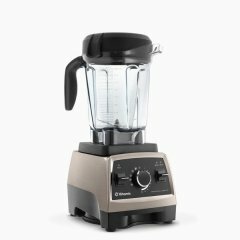 With its star rating of 4.5 computed from 1284 reviews, we rank this Epica model second best blender. * This list, by the way, is based on an in-depth analysis of hundreds of blender reviews from multiple sources. The Hamilton Beach 51142 is the newest blender by Hamilton Beach. The Oster Pro 1200 is the latest blender by Oster. The Ninja BL621 is the latest Ninja blender. The Cuisinart CBB-550SS is the latest blender by Cuisinart. 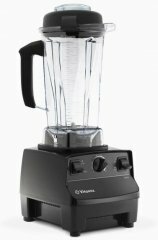 The Vitamix A3500 is the latest Vitamix blender. The Black and Decker BL6005 is the latest model by Black and Decker. All Black and Decker blenders. The Blendtec Designer 725 is the newest Blendtec model. The Margaritaville Bahamas is the newest blender by Margaritaville. The Breville Blend Active Pro is the latest Breville one. The KitchenAid Pro Line KSB7068OB is the newest model by KitchenAid. The Waring Margarita Madness MMB145 is the latest Waring model. The Nostalgia Electrics MMA800 is the latest Nostalgia Electrics blender. The New Age Living Quiet Series is the newest model by New Age Living. All New Age Living blenders. The Bella 14639 is the newest Bella one. 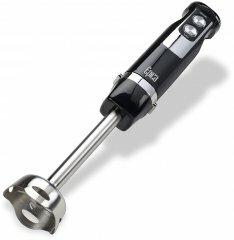 The Brentwood HB-33 Hand is the latest blender by Brentwood. The Tribest Glass Personal is the latest blender by Tribest. The Braun JB7350 WHS is the newest Braun model. 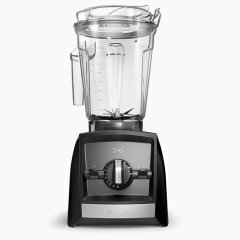 The Omega BL330 is the newest Omega blender. The NutriBullet 600 is the latest blender by NutriBullet. The Insignia NS-BLSS6 is the newest Insignia blender. The Keyton K2 is the latest Keyton one. The Elite EPB-5455 is the newest Elite model. The VonShef 13-384US is the newest VonShef model. The Homeleader B07DK7HMLH is the newest Homeleader model. The Maxi-Matic EPB-2572P is the latest Maxi-Matic blender. The Beaba 912583 is the latest Beaba model. The Jamba Quiet Blend 58915 is the latest Jamba model. The Kenwood BL705 is the latest Kenwood model. The Panasonic MX-ZX1800 is the newest Panasonic one. The Bravit Personal Sports is the latest Bravit model. The Westinghouse WBL10GA is the newest Westinghouse model. The Epica EP82515 is the latest Epica one. The Chefman RJ19-RBR-S is the newest model by Chefman. The Philips HR1670 is the newest Philips model. The Coolife CB13333 is the newest Coolife model. The BESTEK BL15 is the latest BESTEK model. The Weston 58917 is the latest Weston blender. Slushie- and margarita-specialized blender, that operates at 1600 watts and carries up to 1.5 gallons with its plastic jug. Small lightweight blender that is built for making baby food and comes with two blades, two cups, and a batch bowl. A 550-watt five-speed blender set which can aerate, blend, whisk, chop, and puree, and comes with a turbo button for harder ingredients. PVC, BPA, and Phthalate-free baby food maker with a pulse function that can make as much as five cups.